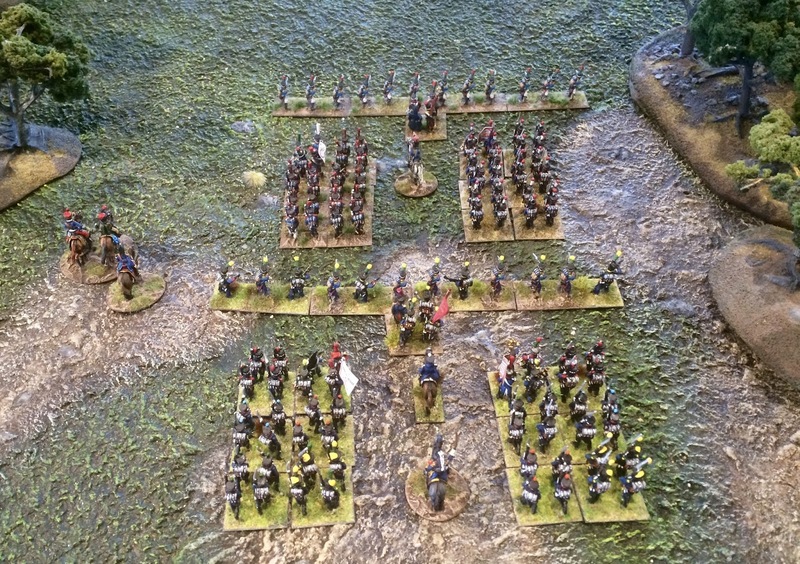 Over the last week I decided to get rid of my 28mm Anglo-Portuguese army, they were well priced and sold quickly. 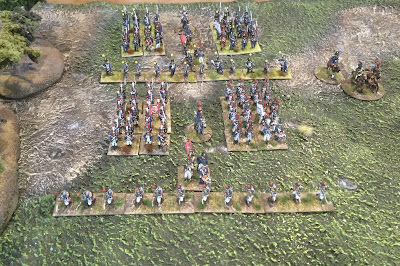 Selling off the French army was painful, it is just not worth my time. 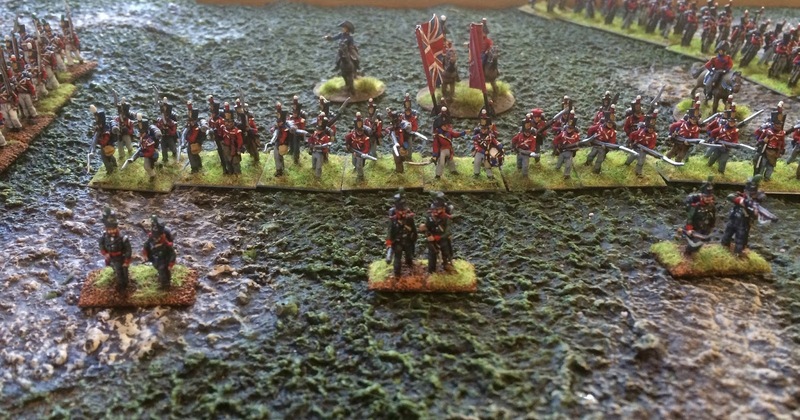 I was also able yesterday to get rid of my 28mm NKE figures, both painted and unpainted. This project really had little interest for me. So where does that leave me, well I still have a little over a hundred 28mm Napoleonics which I have kept for Sharpe Practice. 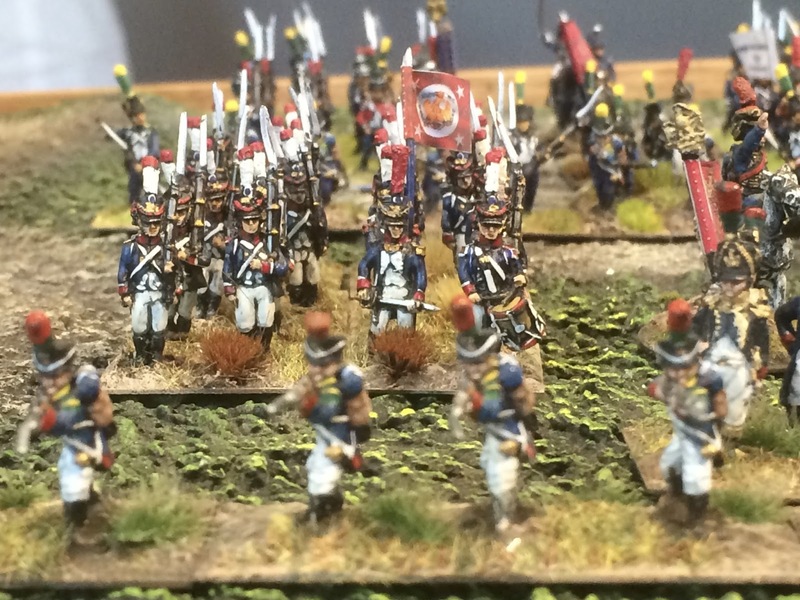 Most of these are already based singly but thankfully it is little work to rebase the rest. 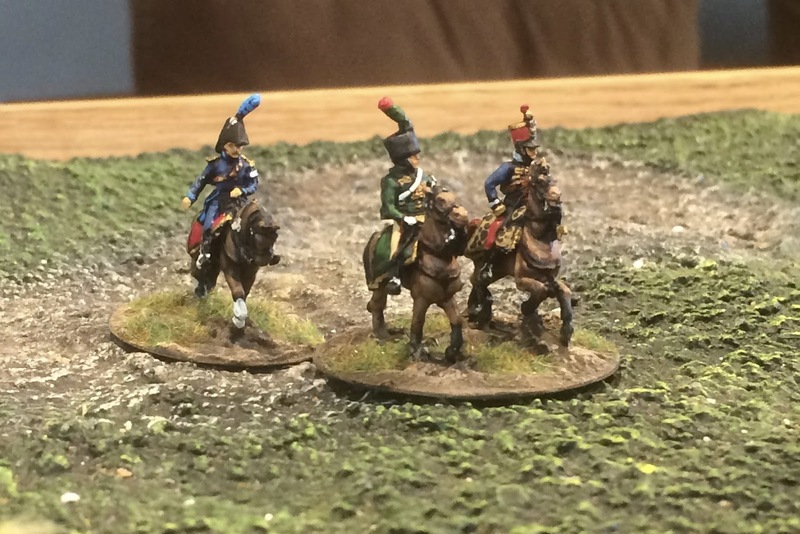 I also still have some unpainted 28mm Napoleonics which I have been holding onto until the Sharpe Practice 2 ruleset was released. Well I now have it and can go through this small lead pile to see what I may need for supports. 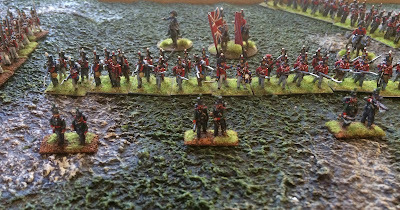 All that was left than was my 28mm Brunswick Corps, I really had no use for it but at the same time this was my favourite army and I just did not want to sell it. Thankfully Iannick has accepted it as a gift. 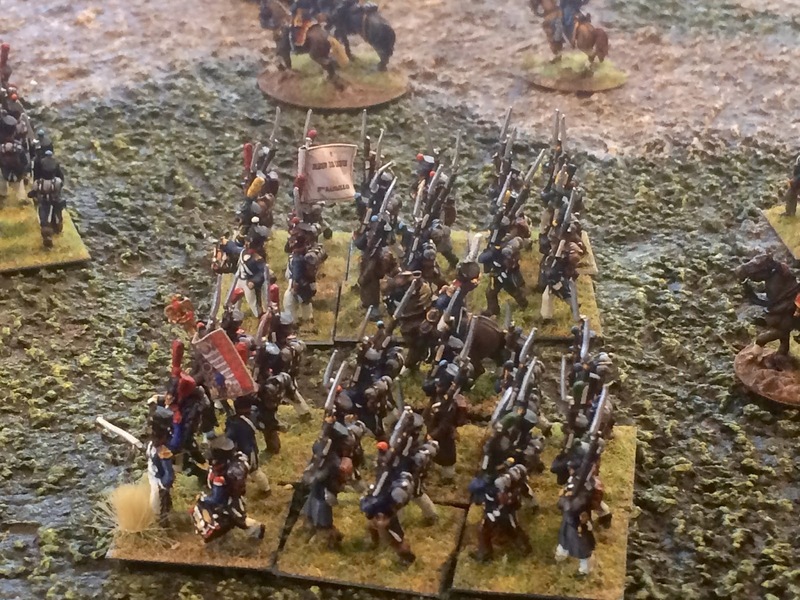 I had some satisfaction in giving the "Black Hoard" to someone who especially favours brightly coloured armies. 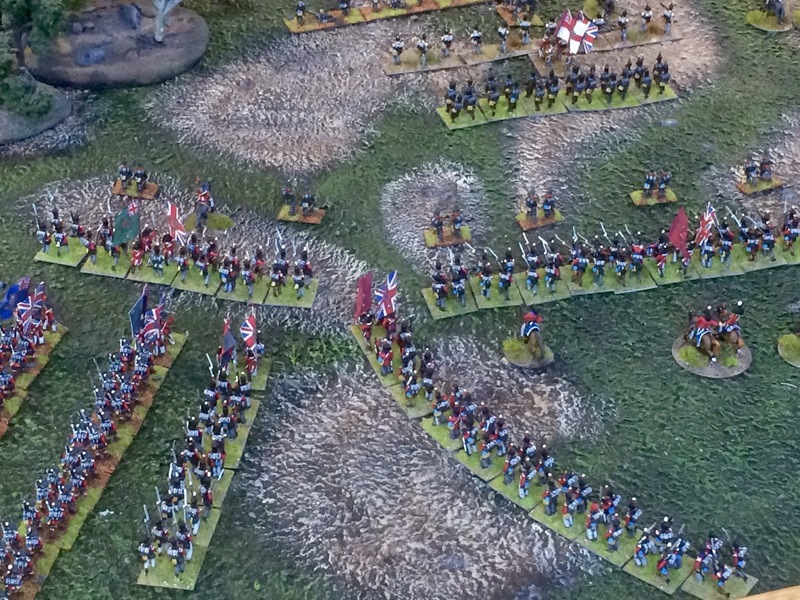 Joking aside, I was very happy to give the Corps to him as I have to say he started me off in wargaming. We have not had much of a chance to play in the last year but I am going to Montreal for a month this summer and I am sure we will get in a few games. 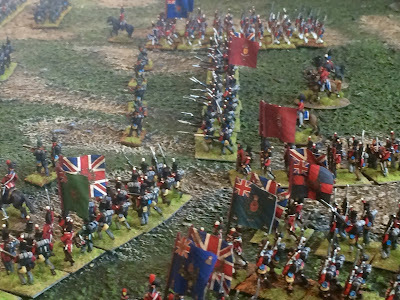 So is it still wargaming in 28mm? Well yes it is. 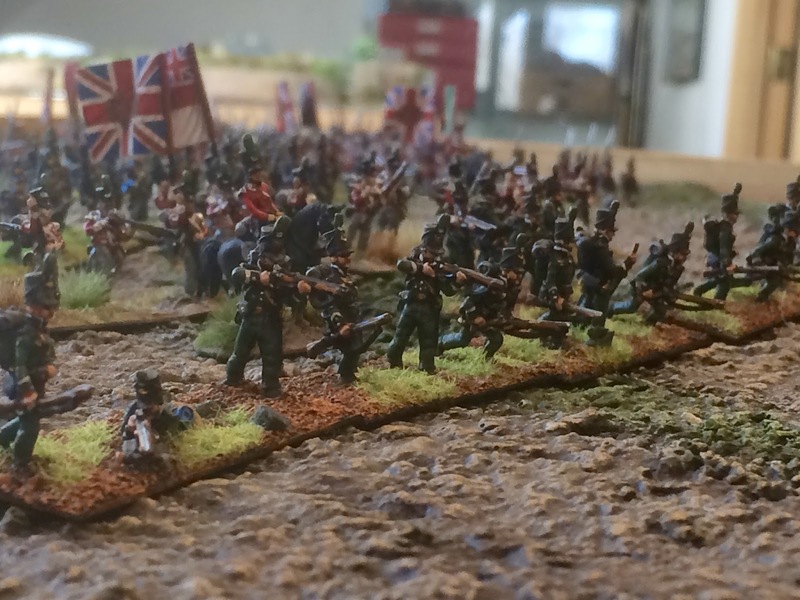 I have a lots of other 28mm troops aside from those destined for Sharpe Practice. 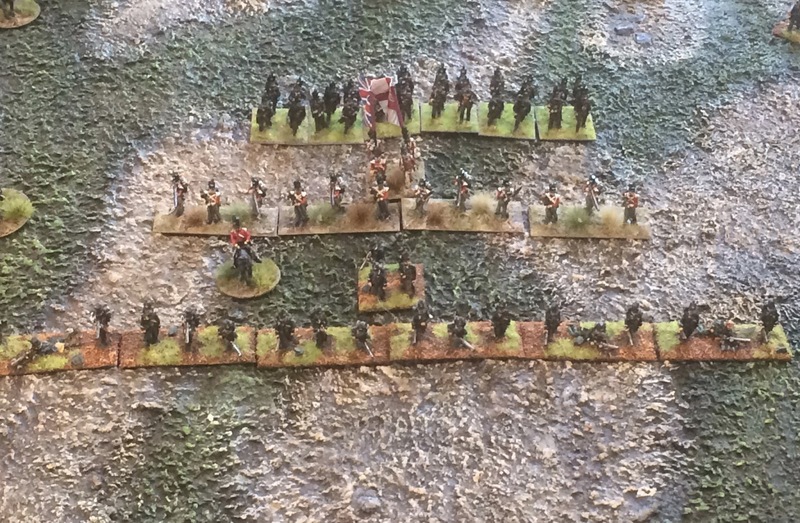 I have got a very nice FIW British force which I am going to supplement with some more Indians also for Sharpe Practice. I have 4 Dark Age warbands, which are still frequently used. I have the Revenants warband in a box, they do look like an interesting group to paint. 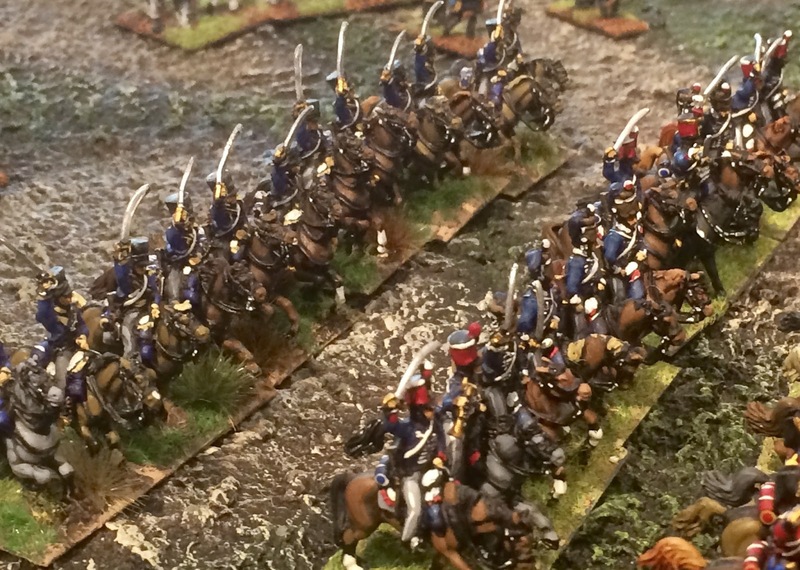 I also have some Japanese Warring States figures both painted and unpainted which I think I will keep. Samurai are just so cool, and I do enjoy painting them. I am hoping that someone develops a ruleset for large scale skirmishes for this period. 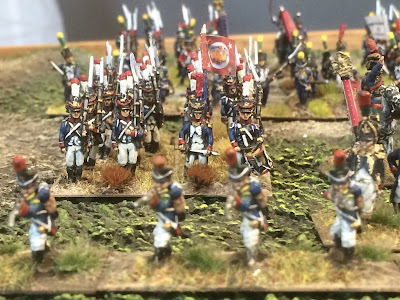 Well that is all I suppose, aside from taking down my Roll Call of the 28mm Napoleonic Armies and substituting it with an 18mm Napoleonic Roll Call! An anniversary of sorts one could say, and average of over 5000 page views per month over the nearly 8 years since I started Wargaming in 28mm. 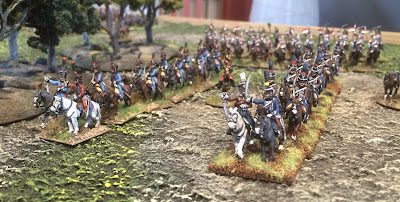 Let us have a little look back, the original blog title was Fuentes de Ornoro and with the initial plan to document my progress in building the forces to fight the said battle. It is interesting to me that at the time my plan was to build the forces so I could play the battle using the Le Feu Sacre ruleset from Too Fat Lardies. I planned to have 12-16 figure single rank bases in 28 mm. 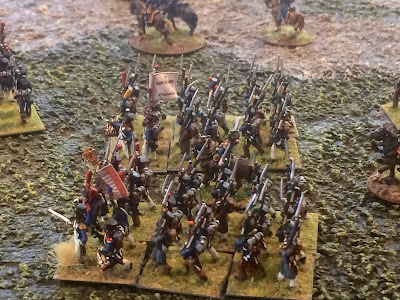 From my original post, it seems that command stand and skirmish basing was important to me. It is amusing to think that it really the only thing I have held on to. 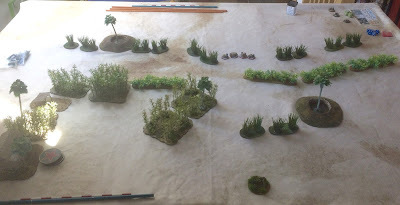 I have gone through multiple different rulesets and basing configurations but held on to the idea that I wanted command bases and skirmish stands. I have even got rid of the bulk of my 28mm Napoleonic collection (around 800 left of the original 2800 figures that were painted over the last 8-9 years). It is also funny to think that I have come somewhat a full circle in Napoleonic rules preference, I have not returned to Le Feu Sacre but am now playing a Napoleonic ruleset by the same author Darren Green, General Bonaparte meets Chain of Command (a name I suspect that will change when it comes out of playtest). 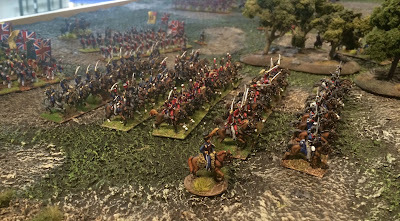 Somewhere along the way the blog title got changed to Wargaming in 28mm and sometimes smaller. 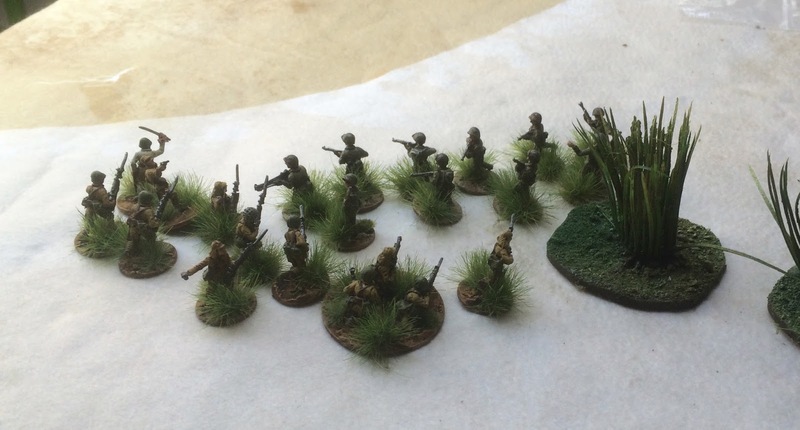 This was to accommodate a foray into 15mm WWII wargaming that was pretty short-lived with a fairly complete DAK and 8th Army being sold off to Australia. 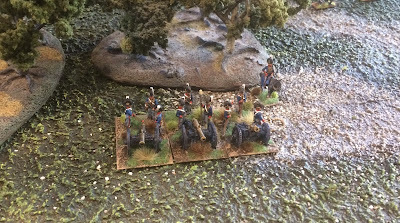 I suppose I thought about changing the name back to Wargaming in 28mm, but then along came Chain of Command and my decision to go with 20mm figures. The subject of my posts over the years have mirrored by transition from a painter to a wargamer. As time has gone by, I clearly have become less interested in painting and more interested in play testing rules especially Napoleonic rulesets. As you can see below these have been some of my most popular posts. 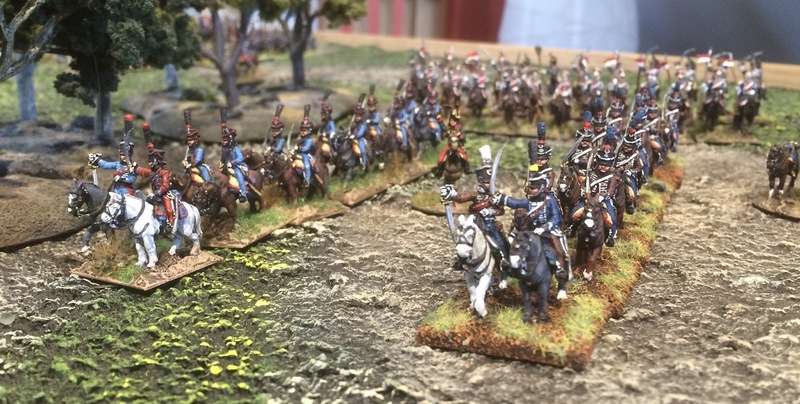 This has been well illustrated by the fact that I have commissioned painters to paint a 15mm ACW Union army, 6mm British and French Napoleonic armies and most recently a 18mm AB Napoleonic force to replace my sold 28mm Napoleonic figures. 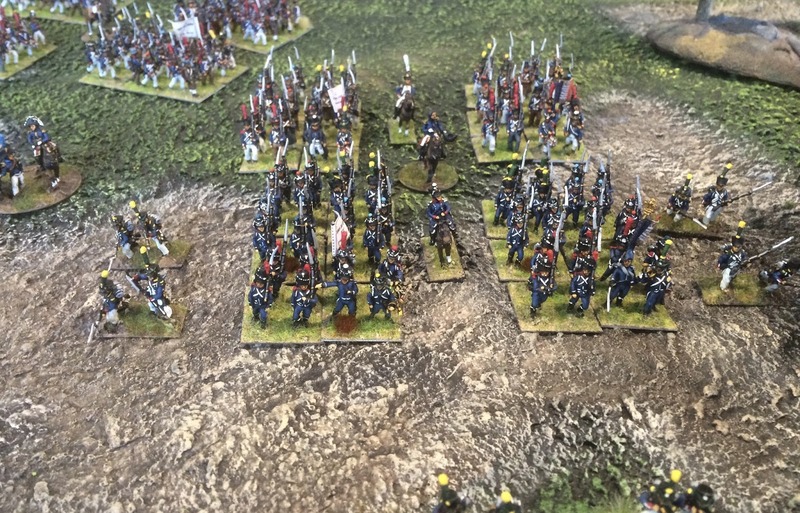 Field of Glory Ruleset Review: Over 7500 hits, this was part one of a playtest review of this ruleset for grand tactical Napoleonic gaming from Slitherine. I never played it after, probably because I am less interested in grand tactical wargaming. I am not sure how successful this ruleset is, but there sure were a lot of hits. 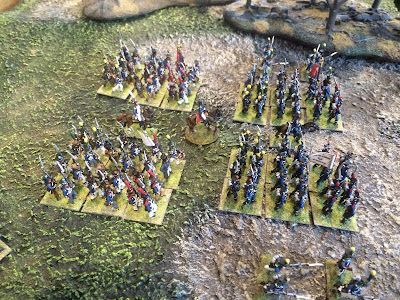 A SAGA Warband from the Emirate of Seville: Over 5800 hits, I have never really understand why this was such a popular post but I can guess. 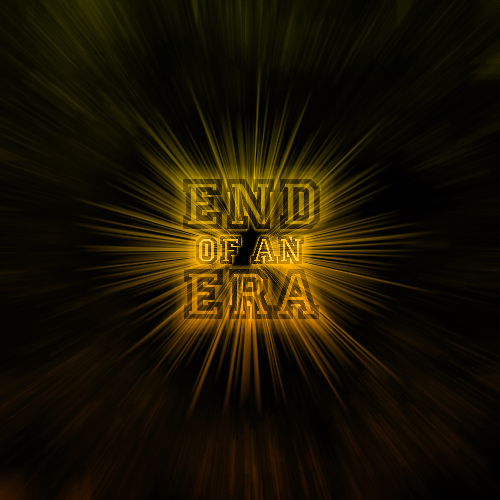 To be clever, I originally used arabic calligraphy in the title. 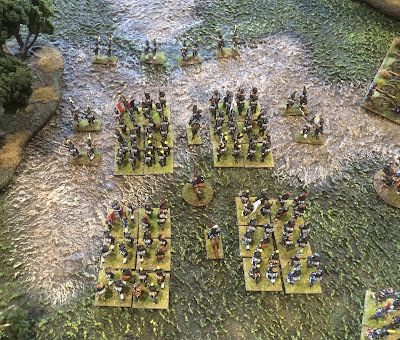 I suspect that the number of hits had nothing to do with wargamers, but more from government security agencies and wog-types looking to join up to sacrifice their worthless selves. Best to shut up I suppose, but I have noticed that I spend a lot of time on the internet browsing sites that offer reproduction Dane-Axes. Anyway re-writing the title in english seemed to stop the flow to this post. 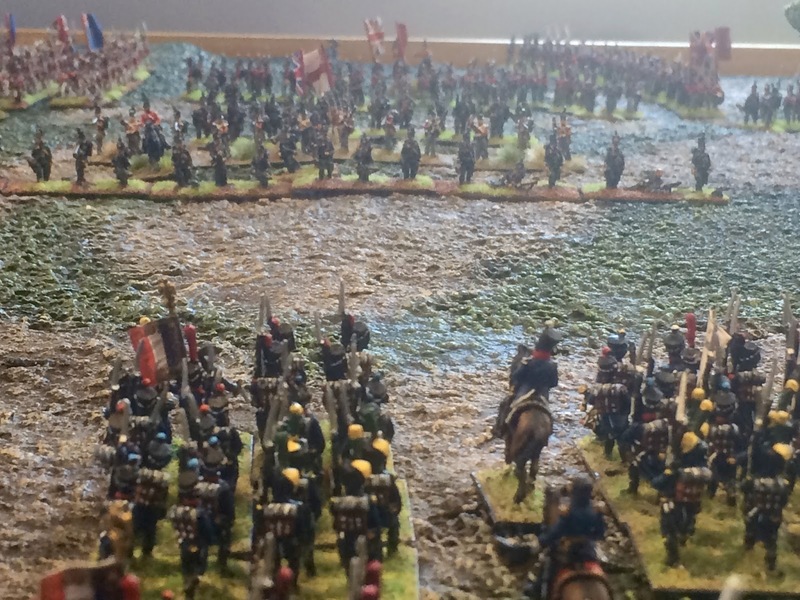 Field of Glory Ruleset Review: Almost 2300 hits, part 2 of above. 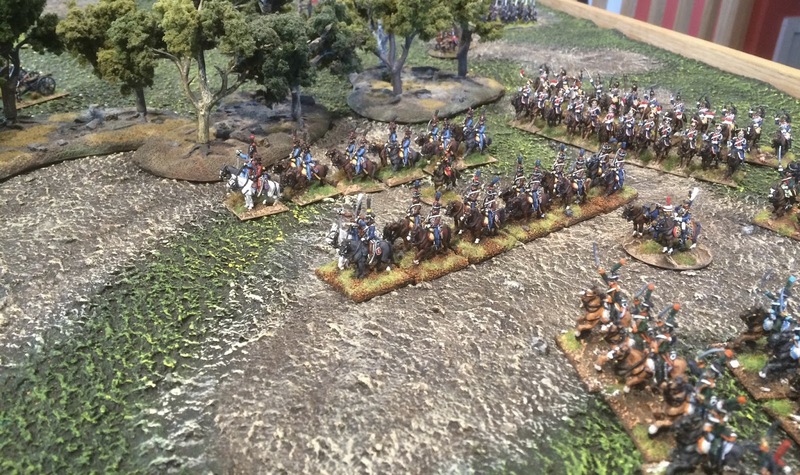 Another Non-Wargaming Post! : Over 2100 hits, not sure why people are interested in holiday snaps, but this post chronicling myself and Jennifer's 2012 trip to Italy was quite popular. 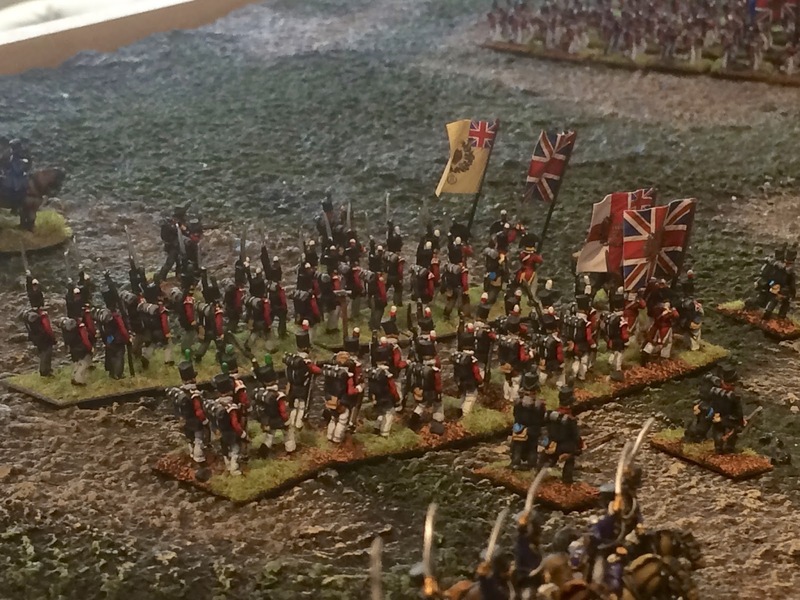 La Haie Sainte: A Black Powder AAR: Almost 1200 hits. 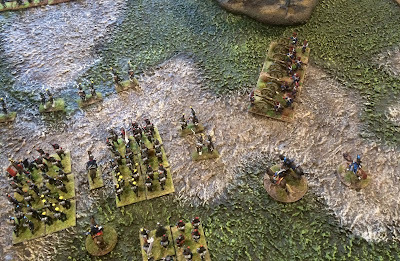 An AAR post using a series of hand written notes from the commanders to document the action with a linked playtest, this time of Warlord Game's Napoleonic ruleset Black Powder. This is not a bad ruleset and it actually does quite a good job of playing asymmetric games, as I found with this encounter and subsequently with a Hougoumont game. I find the mechanic though hard to remember and a bit boring. 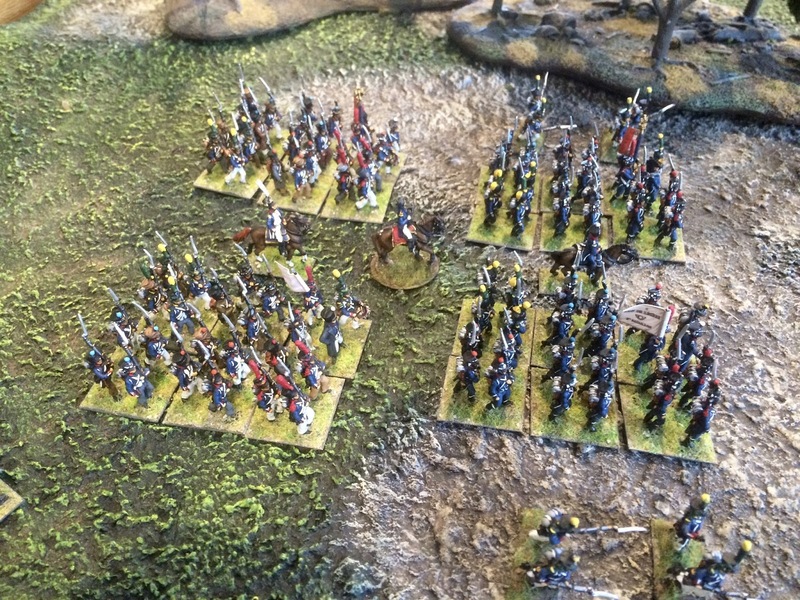 Skraeling Warlord and who were the Skraelings anyway? : Over a 1000 hits, since I am a from The Rock, I am quite gratified to see this was quite popular. 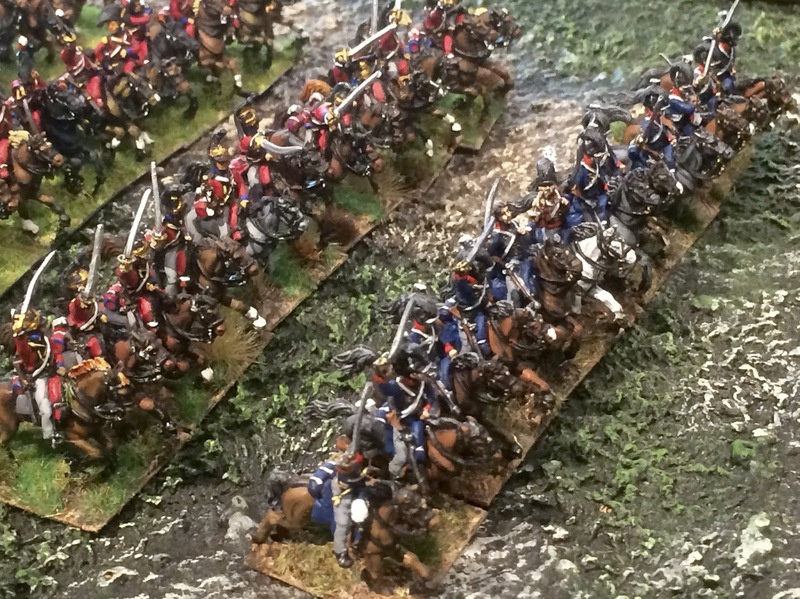 Closely followed by the following all at 900 hits. 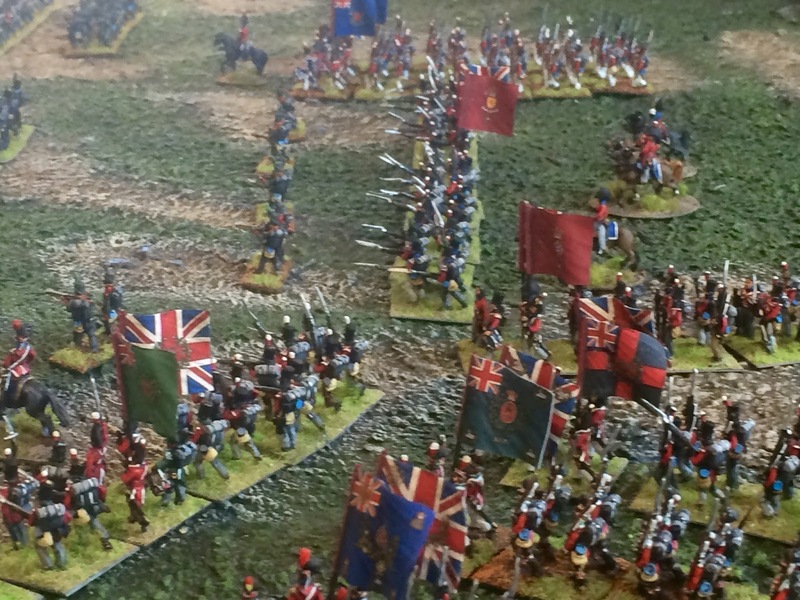 Well where to from now, I turn 60 this year, so lots of wargaming left yet! Less interested in painting though, so I suspect I will keep the commission painters busy. 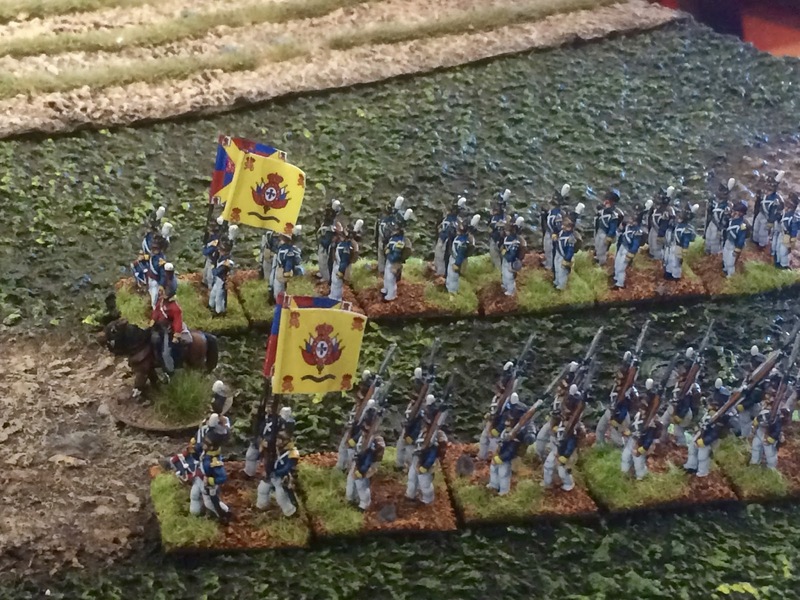 To celebrate this milestone, I will post some photos of my new 18mm AB army in my next post. 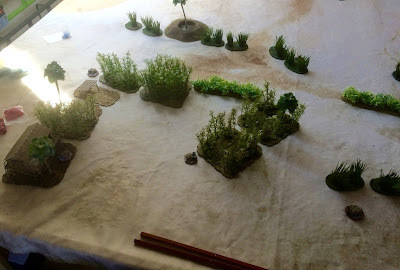 My main non-gaming hobby focus is now terrain building, and hopefully I will have some posts of my two latest projects: Stalingrad and Jungle terrain for the Pacific and Far East WWII gaming. 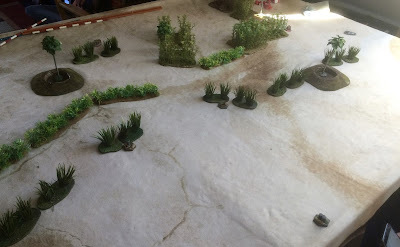 And finally on to gaming, clearly I am a committed Lardie (adherent of Too Fat Lardies rulesets). These rulesets just stand above others in tactical complexity but simplistic mechanics. They truly live up to their motto "Play the period not the rules". I will continue to be deeply involved in Chain of Command and Dux Britanniarum, and will follow the Napoleonic derivative of CoC to it's conclusion. 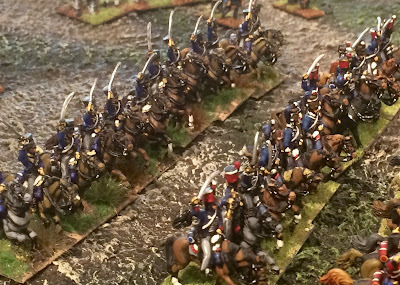 I am also quite excited about Sharp Practice 2 which is just about to be released. 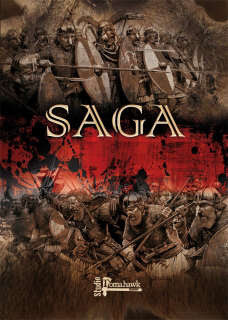 For non Lardite rulesets, I will probably continue SAGA and have a look at their new campaign supplement Age of the the Wolf and hope to have a go at Blucher for grand tactical Napoleonic wargaming using 6mm figures. Over the last 2-3 years, I have found that campaigning is much more fun than stand alone games. This has been a bit of a weird week for gaming, I had games hopefully lined up for today and this Saturday but they both fell through. 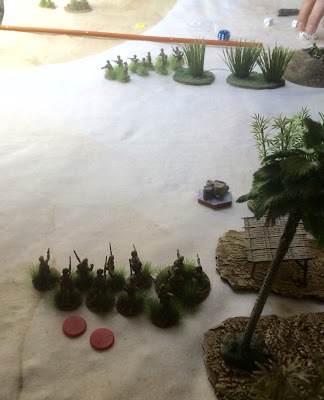 My son happened to be home and when asked agreed to give my new 1941 Pacific troops ago. 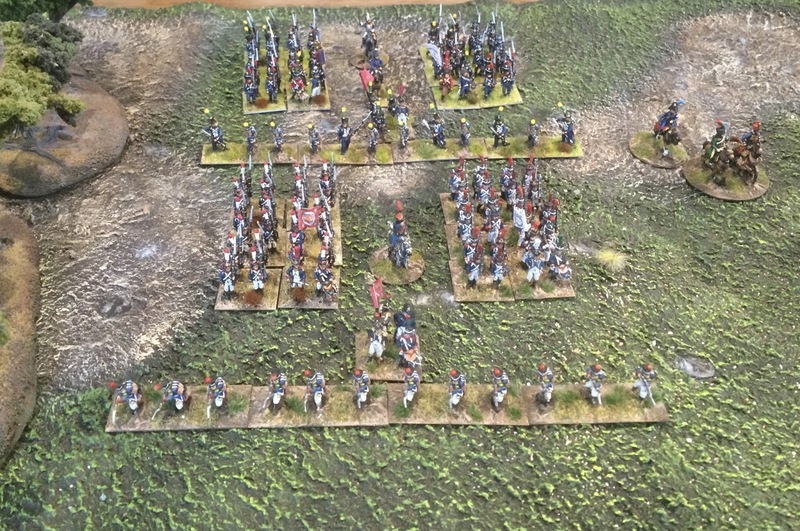 I still have 3 squads of USMC to paint as well as 2 squads of Japanese and some supports to do, but the leadership and 2 squads of each as well as some limited support were available so we said why not. Still a lot of work to do on terrain as you can see below the board is pretty sparse for jungle but we did have enough to set down to block LOS and give cover. 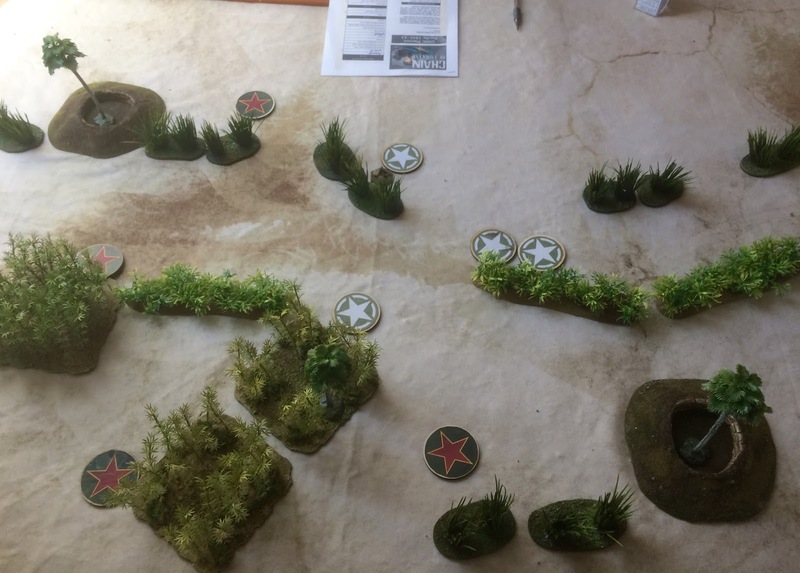 We decided to play scenario 6 with the USMC attacking a Japanese jungle outpost. 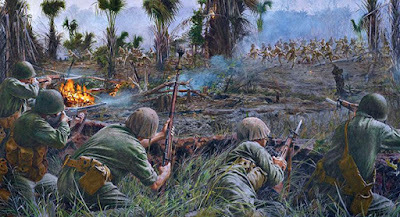 You can see the Japanese outpost to the left foreground. Patrol phase, it is only my son's 2nd game, he still finds this a bit of a puzzle. He played the USMC and I played the Japanese. He diced 9 on supports so got 11 supports (2 point differential between Platoon Force Rating) so I ended up getting 5 points of supports. We both had a starting Morale of 9. 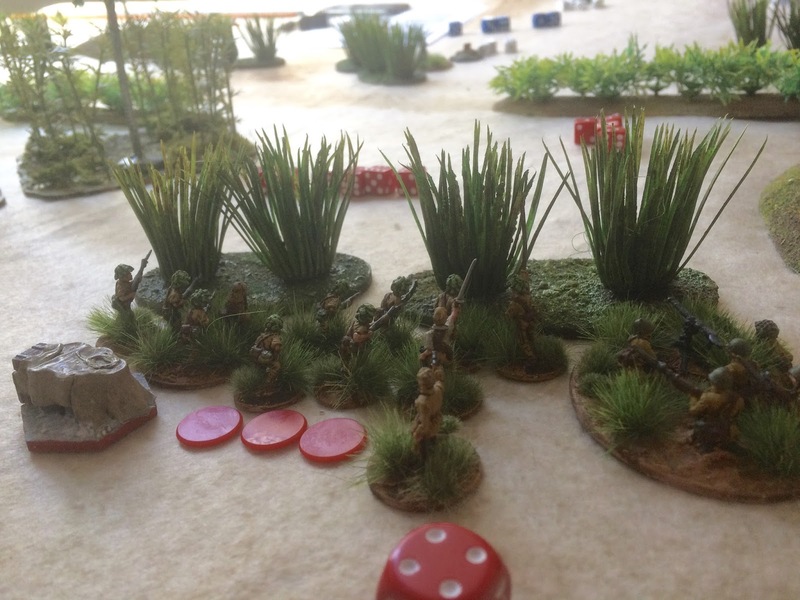 Simon took a Mortar team, 50cal HMG, Bazooka and a Corpsman. I took a MMG and 1 entrenchment. I get a double 6 and decide to attack. 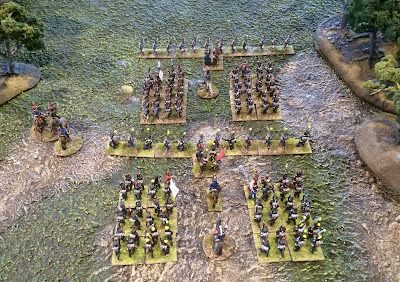 The positions of the troops and their movements through out the game. Final Combat, the USMC were routed. 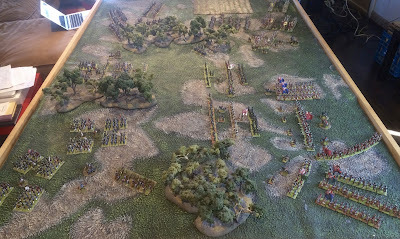 We got in maybe 12-14 phases in 1 turn with 3-4 double 6's on each side and 2 CoC Dice each, so there was lots of play. I was a little luckier with my dice and was able to beat Simon's FM down to 4 so he withdrew, it took about 60 minutes so a nice little game. Time to work on more terrain.